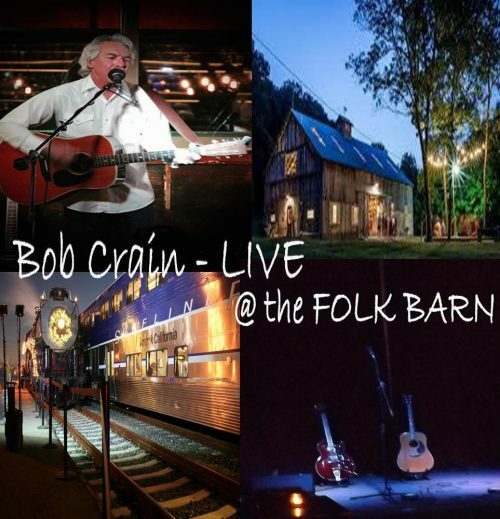 Bob Crain—LIVE recorded live at The Folk Barn. 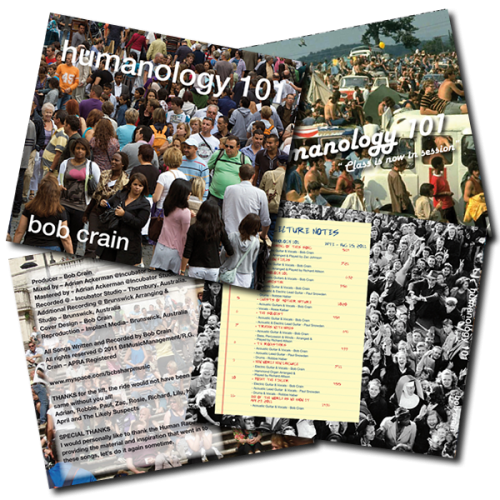 HUMANOLOGY 101 - A collection of songs which reflect the human condition and the world we live in. 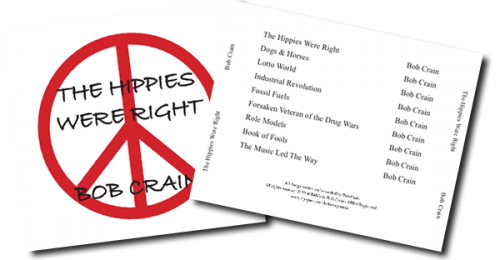 THE HIPPIES WERE RIGHT ... sold out of original copies but if you want a copy hit me up via the Contact Page and we'll work something out.